Your support brings the joy of educational entertainment to thousands of children through performances and workshops. Rabia, our 14 years old artist, with her amazing art presented Afghanistan in Germany (Frankfurt) for tens of thousands of audience. She was the youngest among all the artists who came from 11 countries. 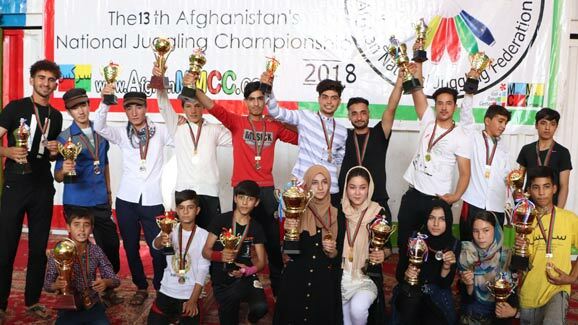 Rabia is champion of juggling competitions of 2018. Over 900 girls and boys in Kabul, Herat, Balkh, Bamyan and Khost enjoyed their best ever winter. The kids, while learning subjects such as English, computer and different cultural, physical, social and life skills had enormous fun with circus arts.